National Teacher Appreciation Day is a first-rate celebration that enables various school administrators to show their support for teachers. The holiday, which takes place on May 7, is an ideal opportunity for school leaders around the country, as high-ranking officials can offer quality personalized business gifts to educators. 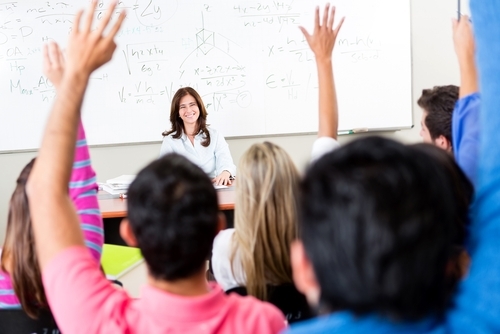 Honor teachers by supplying them with top-of-the-line promotional items. Products such as mugs, notepads and totes will serve these professionals well for extended periods of time. By offering first-rate items to teachers, school leaders can highlight their devotion to their staffs. Educators will appreciate quality products that they can use every day, including custom flash drives, sports bottles and stationery. These items can feature a school’s logo and other vital details that display its mission and values to teachers regularly. Additionally, educators will enjoy items that they can carry with them throughout their work shifts. A teacher’s average day could involve hosting discussions with students, grading term papers and participating in meetings with parents and peers, and useful promotional products could help an educator stay up to date on his or her daily responsibilities. Give workers additional support by providing them with personalized business gifts on National Teacher Appreciation Day.